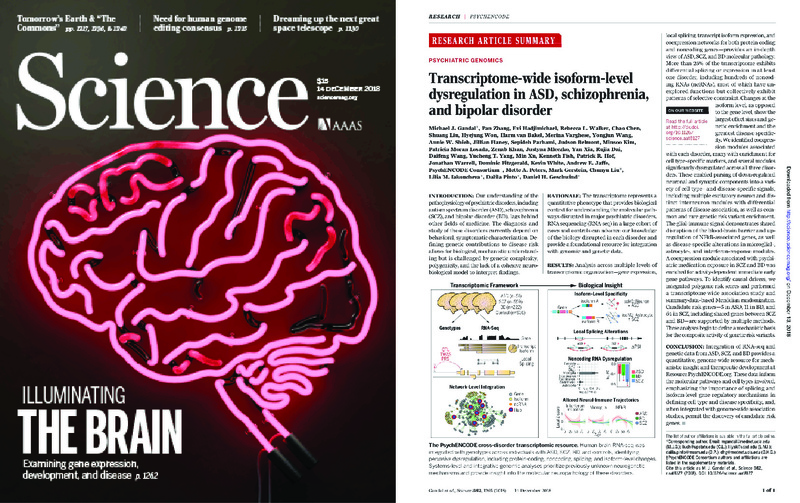 "Transcriptome-wide isoform-level dysregulation in ASD, schizophrenia, and bipolar disorder" Gandal MJ*, Zhang P, Hadjimichael E, Walker RL, Chen C, … , PsychENCODE Consortium, White K, Peters MA, Gerstein M, Liu C*, Iakoucheva LM*, Pinto D*, Geschwind DH*. Science. 362(6420), 2018. 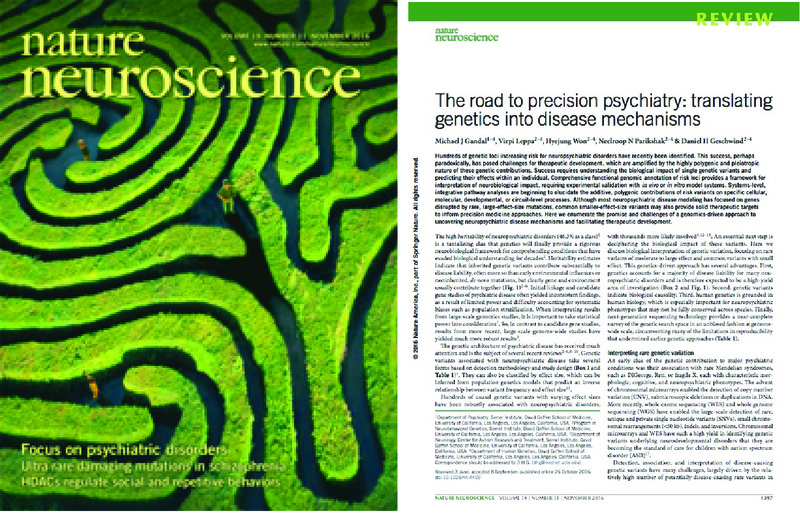 "The road to precision psychiatry: translating genetics into disease mechanisms." Gandal MJ, Leppa V, Won H, Parikshak NN, Geschwind DH. 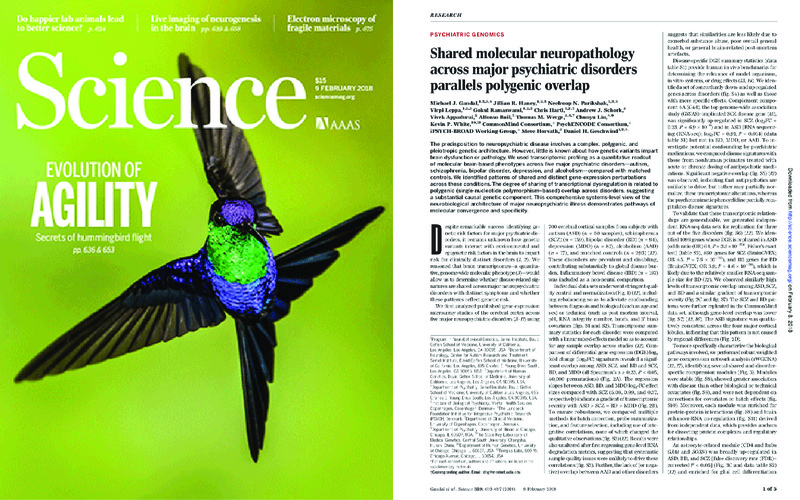 Nature Neuroscience. 2016 Oct 26;19(11):1397-1407. doi: 10.1038/nn.4409. 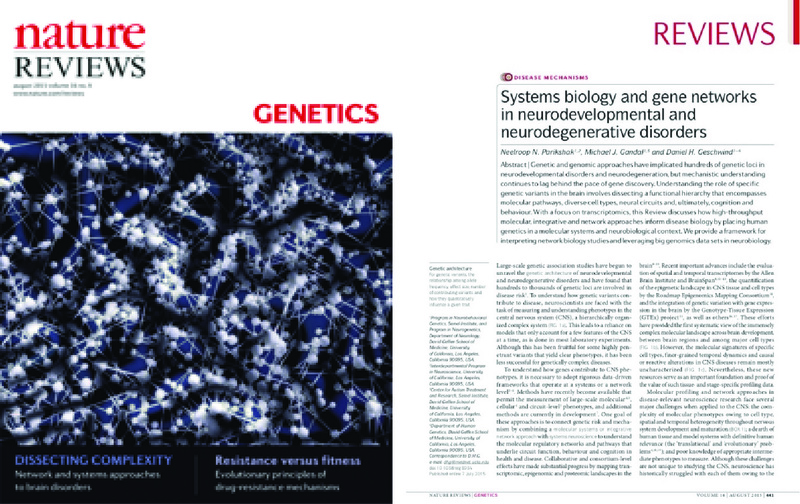 "Systems biology and gene networks in neurodevelopmental and neurodegenerative disorders." Parikshak NN, Gandal MJ, Geschwind DH. Nat Rev Genet. 2015 Aug;16(8):441-58. doi: 10.1038/nrg3934. "Genome-wide changes in lncRNA, splicing, and regional gene expression patterns in autism." Parikshak NN, Swarup V, Belgard TG, Irimia M, Ramaswami G, Gandal MJ, Hartl C, Leppa V, Ubieta LT, Huang J, Lowe JK, Blencowe BJ, Horvath S, Geschwind DH. Nature. 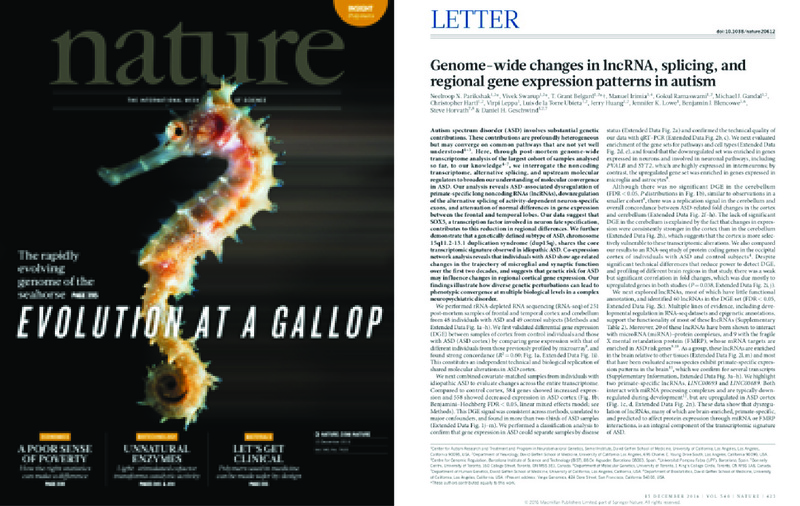 2016 Dec 15;540(7633):423-427. doi: 10.1038/nature20612. 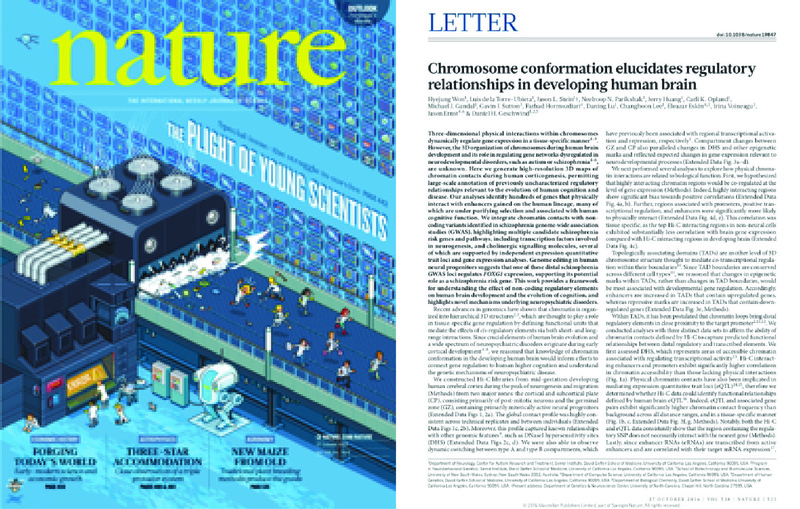 "Chromosome conformation elucidates regulatory relationships in developing human brain." Won H, de la Torre-Ubieta L, Stein JL, Parikshak NN, Huang J, Opland CK, Gandal MJ, Sutton GJ, Hormozdiari F, Lu D, Lee C, Eskin E, Voineagu I, Ernst J, Geschwind DH. Nature. 2016 Oct 27;538(7626):523-527. doi: 10.1038/nature19847.